The Home Craft™ collection showcases a complete selection of readily available flooring surfaces and styles to satisfy your most basic decorating needs. This line is perfect for first-time home buyers or anyone seeking attractive, affordable flooring. 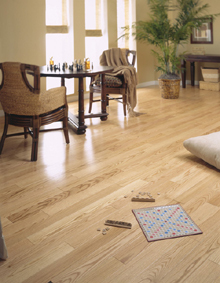 Home Craft hardwood floors offer long-wearing performance for every room in your new home. Shop for Home Craft™ products here.